With this indispensable accessory, you can simply recharge your mobile device anywhere you go. In that way you can provide your smartphone, tablet, GPS, MP3 and other mobile devices with extra energy while you are on the go. Unique detail of the Power Bank Free is the very fast charging time; input (5V/2.0A) charges 2x as fast and output (5V/3.1A) charge even 3x as fast as a power outlet! Three mobile devices can be recharged at the same time, due to the device’s 3 USB outlets. The LED indicator of the Power Bank provides you with the energy (still) available. With a simple press on the button you can start and stop the charging procedure. By using the built-in USB cable the Power Bank Free can be recharged directly by USB or AC. 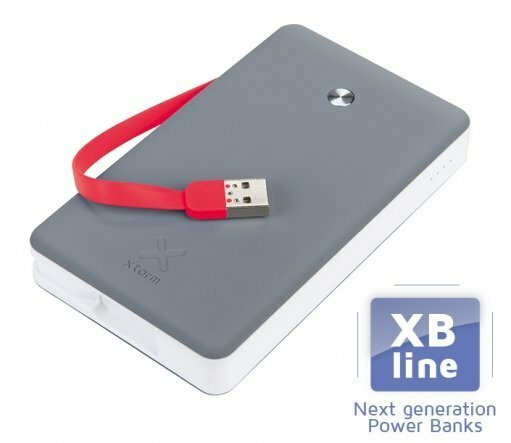 This Power bank Free 15.000 is ideal for business travels, holidays and daily use. With this manageable mobile charger you are always equipped with a back-up battery whenever and wherever you need it.